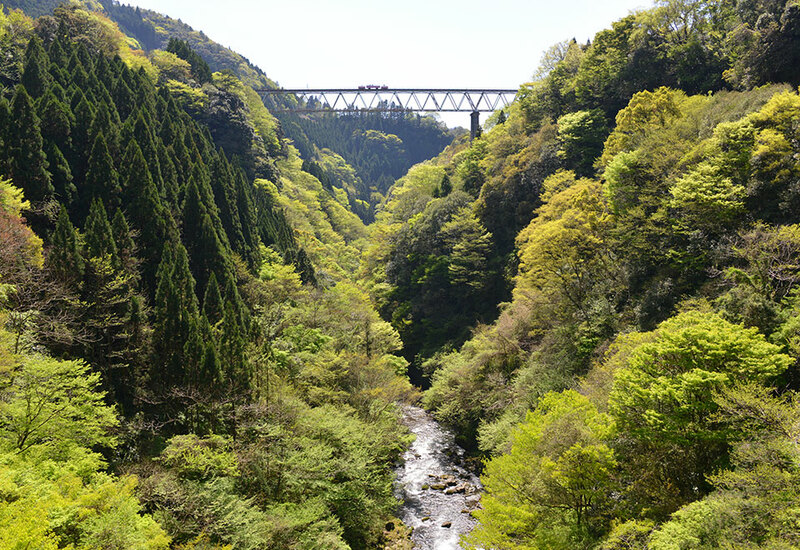 Takachiho railway disconnected in 2008. 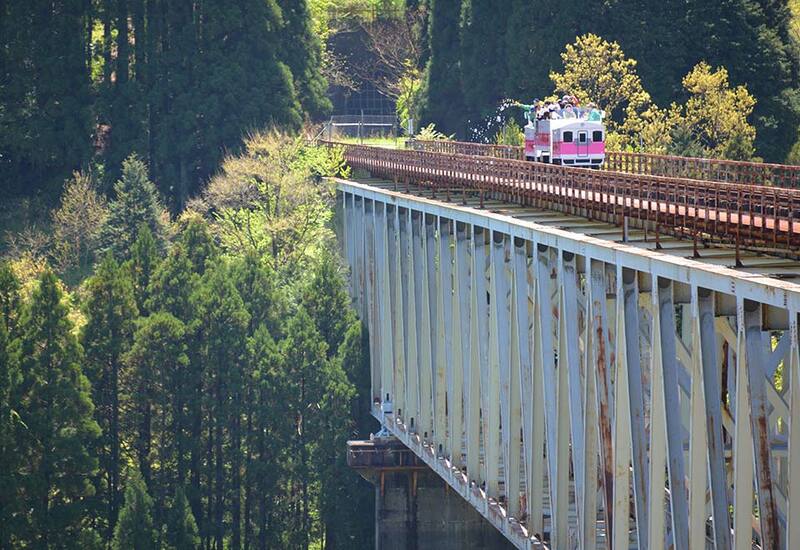 Takachiho Amaterasu Railway uses Takachiho Railway track for tourists called “Super Cart”. 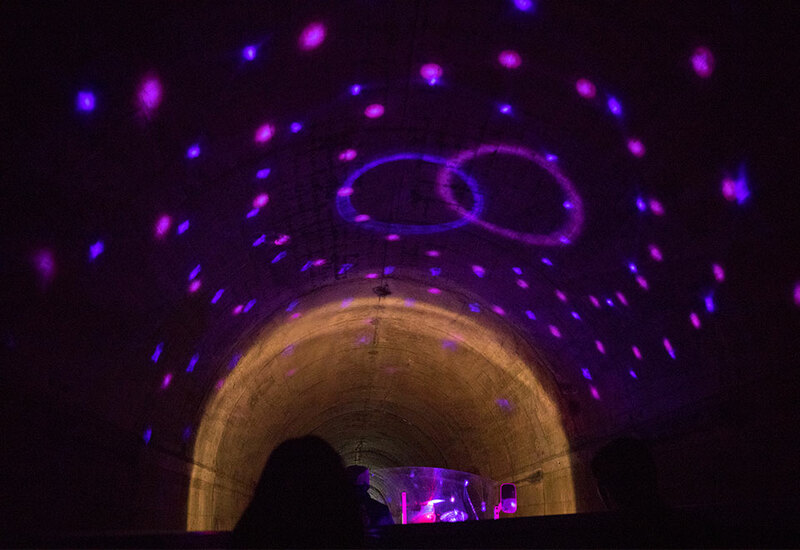 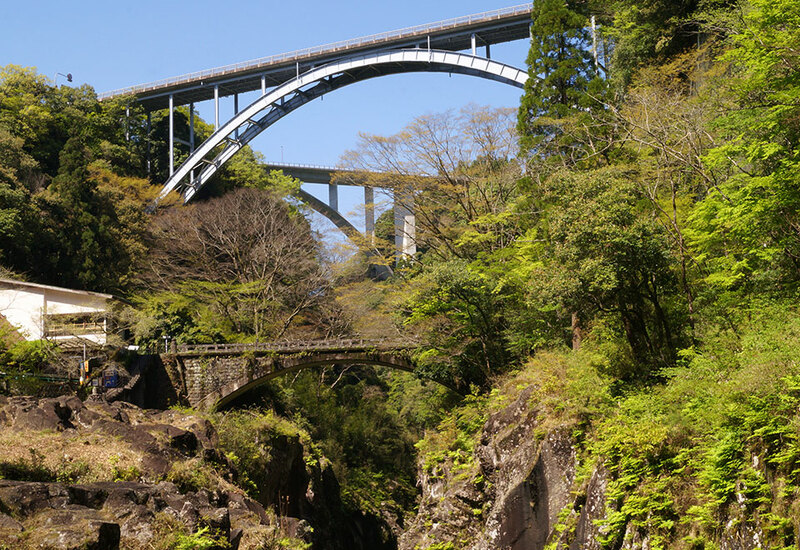 You can see Terraced Rice Fields, Tunnel with lighting-up and the magnificent view from a 105-meter Takachiho Bridge. 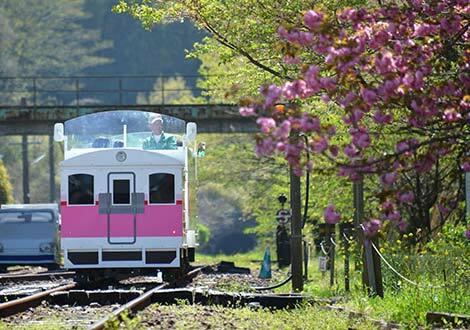 It's a 30-minute and 5.1km round trip. 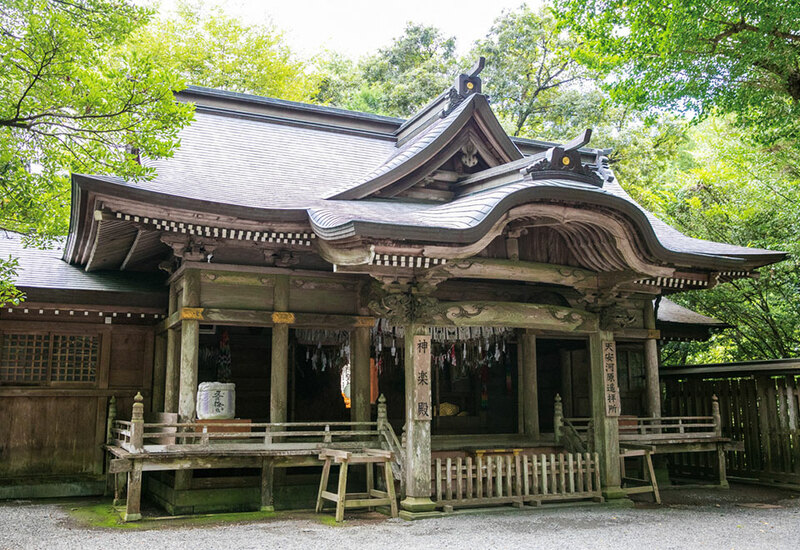 Takachiho Shrine is a representative shrine in Takachiho area and has about 1900-year history. 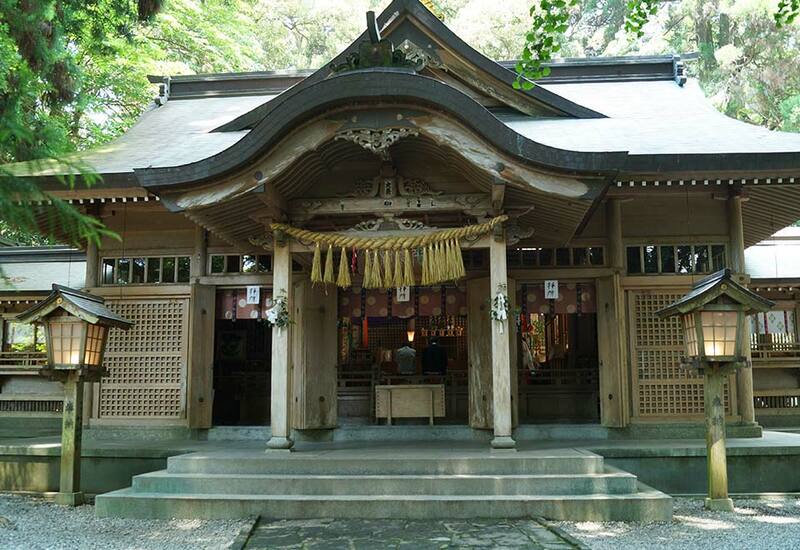 Amanoiwato Shrine enshrines Amaterasu-Omikami. 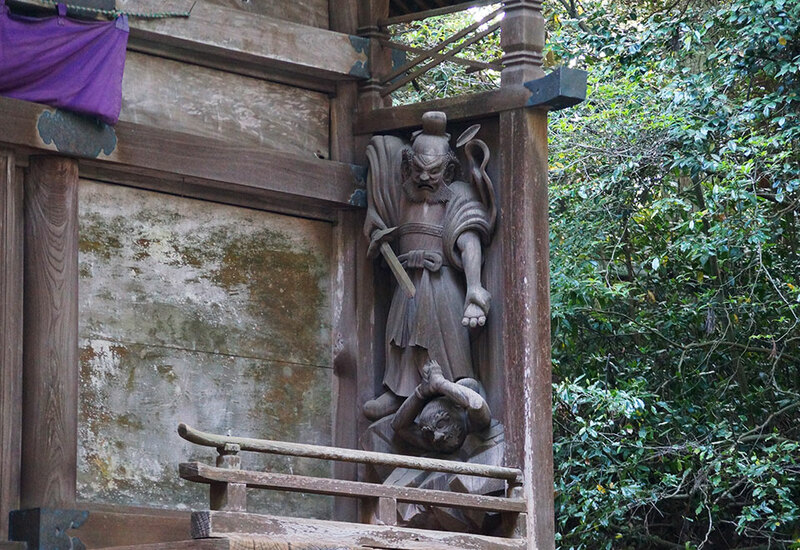 Also it enshrined Amanoiwato where Amaterasu-Omikami hid in Amanoiwato mythology as a sacred object. 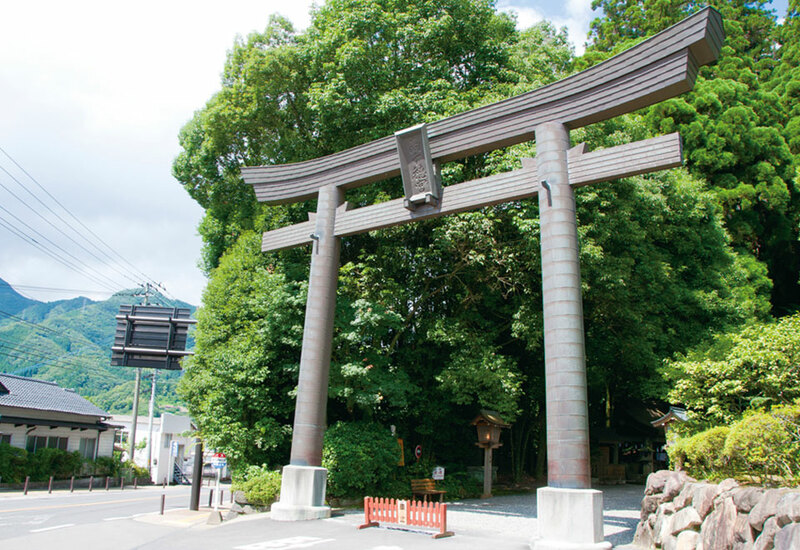 Amanoyasukawara where many gods gathered and discussed to lure Amaterasu-Omikani from the Amanoiwato, is located 15 minute-walk from Amanoiwato Shrine West Building. 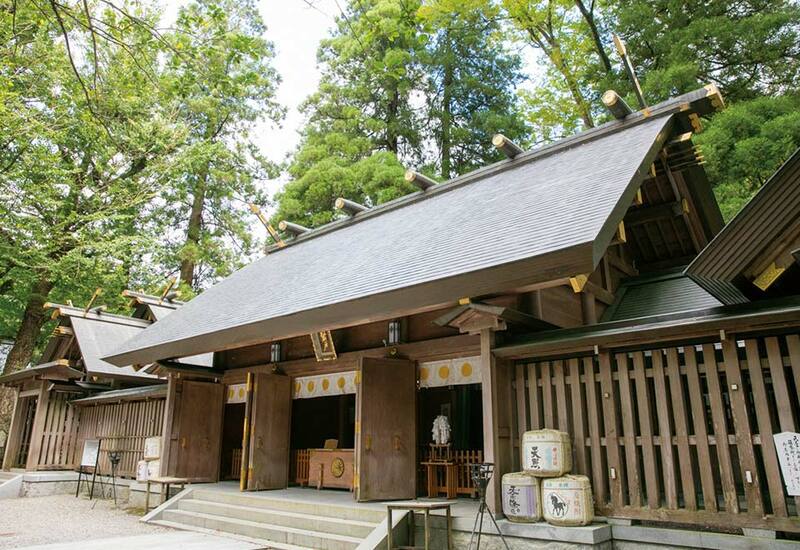 Aratate Shrine is the place Sarutahiko-no-mikoto (Who guided Ninigi-no-mikoto while his descending) and Ame-Uzume-no-mikoto lived after they had got married. 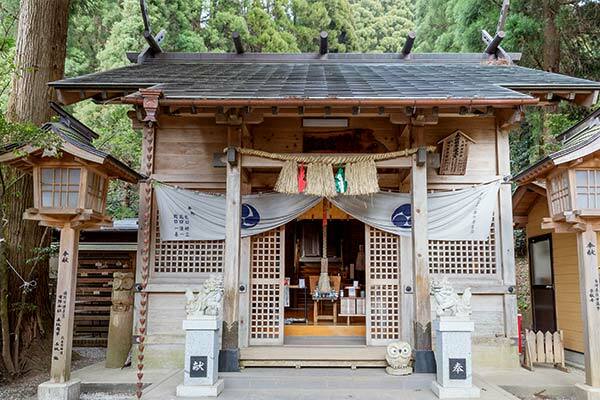 From this story, Aratate Shrine is famous for a god of match-making. 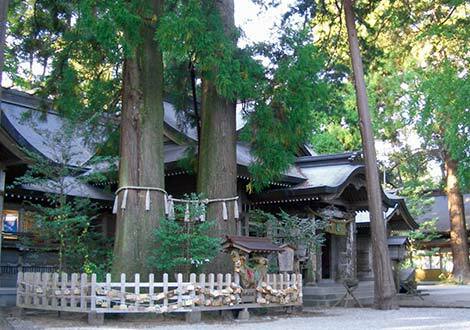 Kushifuru Shrine enshrines Ninigi-no-mikoto, the grandchild of Amaterasu-Omikami. 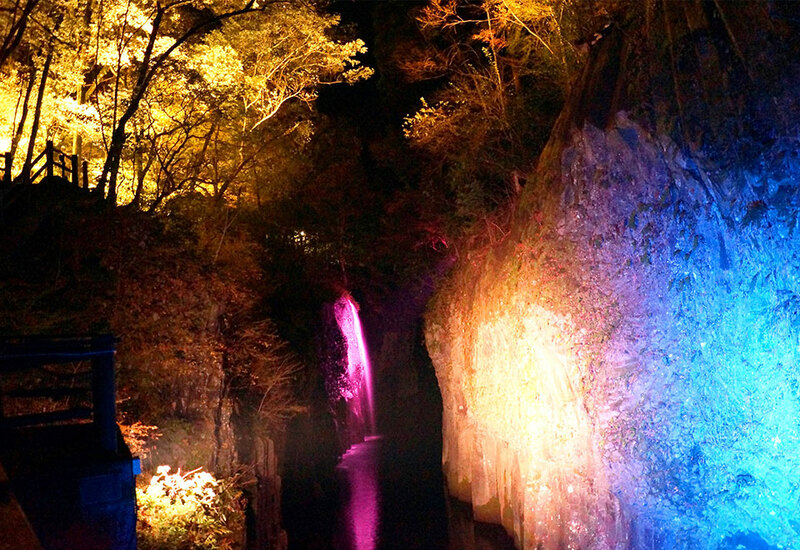 According to Japanese Mythology, Ninigi-no-mikoto descended to Takachiho with many gods to govern the world. 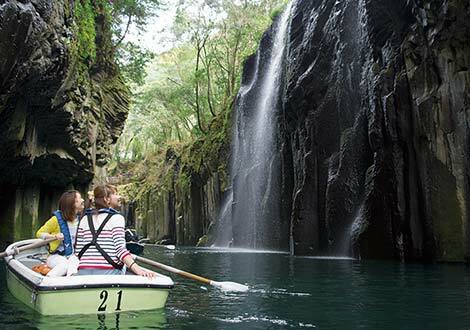 Takachiho-no-Yokagura is perfomed from November to February. 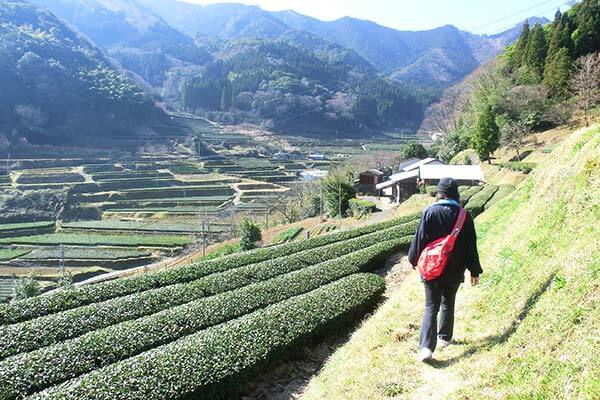 Every year, they set the date and the place called Kagura-yado at each settlement to give thanks to this year’s harvest and pray for next year’s great harvest. 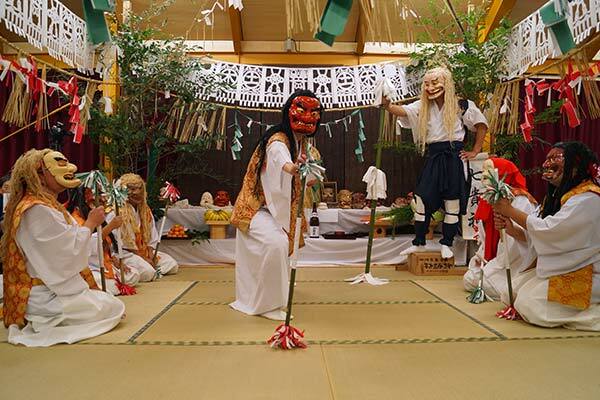 They perform 33 episodes featuring Japanese Mythology throughout the night. 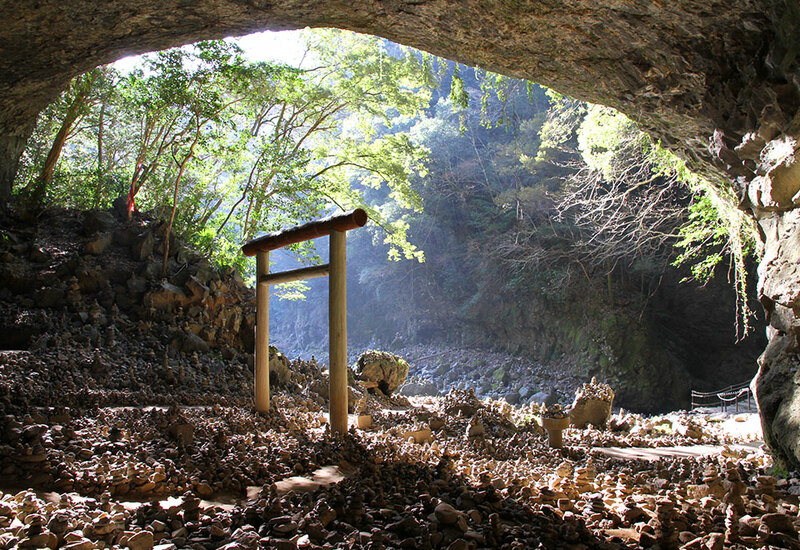 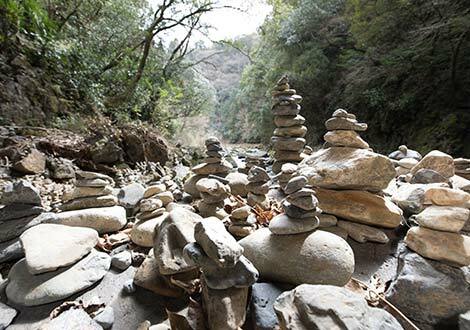 Kunimigaoka is named from Mythology in Takachiho. 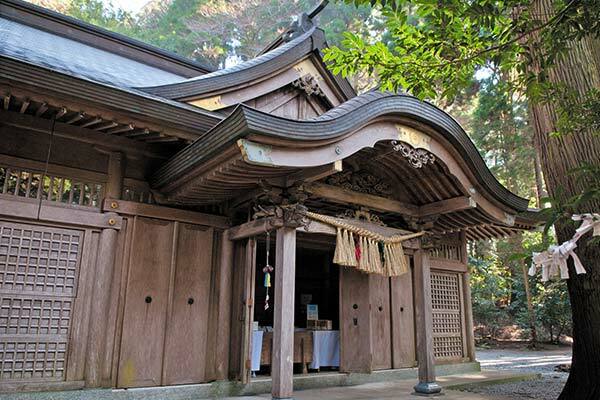 In the mythology, Tateiwatatsu-no-mikoto who is said to be a grandchild of the first emperor dropped by this place on the way to Chikushinokuni. 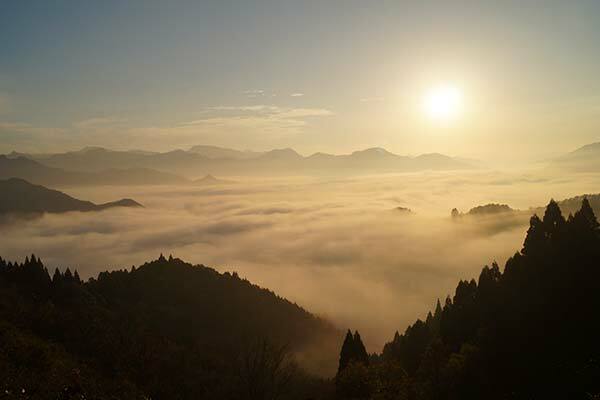 Kunimigaoka got one star Michelin rating in 2011 and is famous for the sea of the clouds. 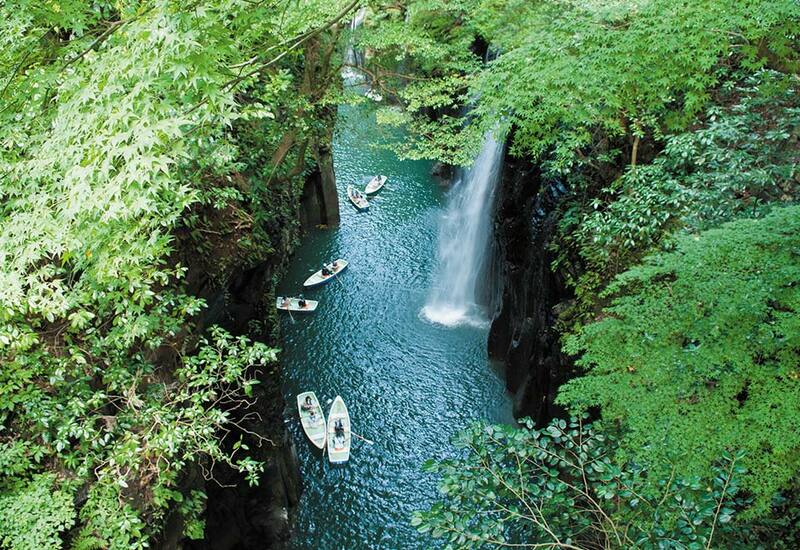 Takachiho Onsen has a big bath, a dry sauna and an outdoor bath. 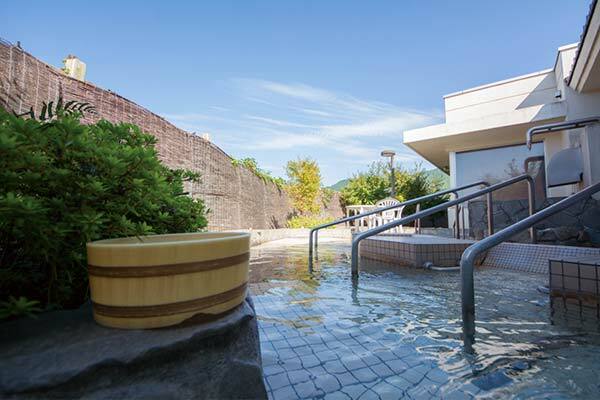 Also it has a relaxing room you can use after taking bath.